I hope you had a lovely Easter weekend! We spent ours at the lake with my parents and our now-water-obsessed Labradors. It was hard to get Red out of the lake and I can’t wait for the water temperature to rise enough for me to swim with her. We didn’t really have a traditional Easter meal on Sunday, deciding to grill steaks instead. 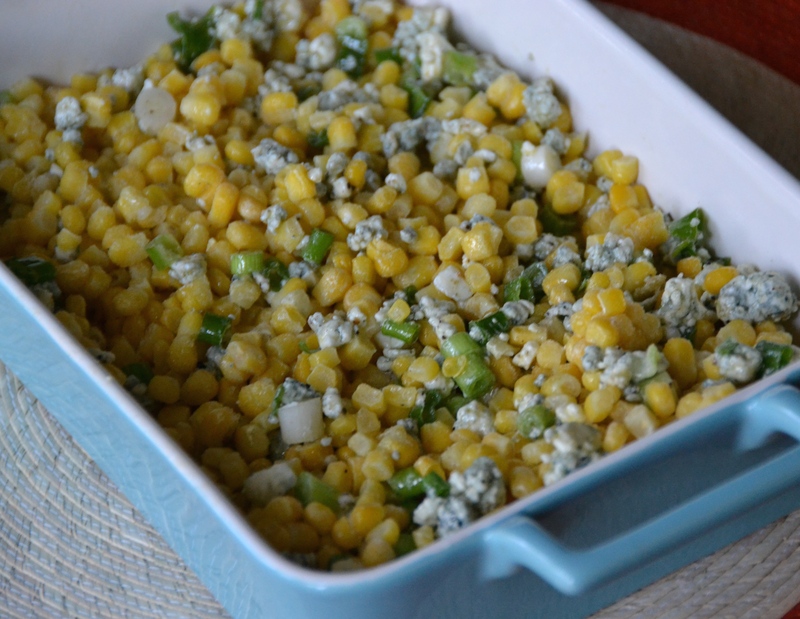 To go along with the steak, I planned to make Slow Roasted Corn with Blue Cheese Compound Butter but when the grocery store didn’t have corn on the cob, I came up with this alternative recipe using frozen corn. 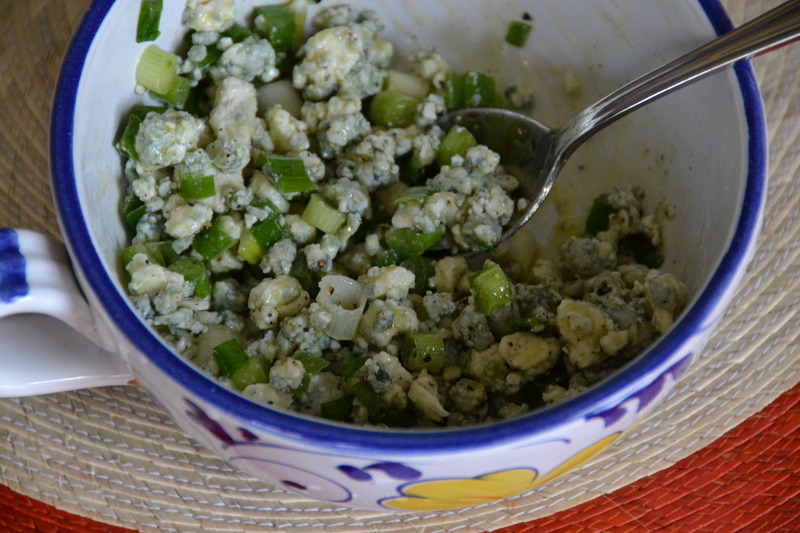 If you like the sharp and salty flavor of blue cheese you’ll be a fan of this simple dish.